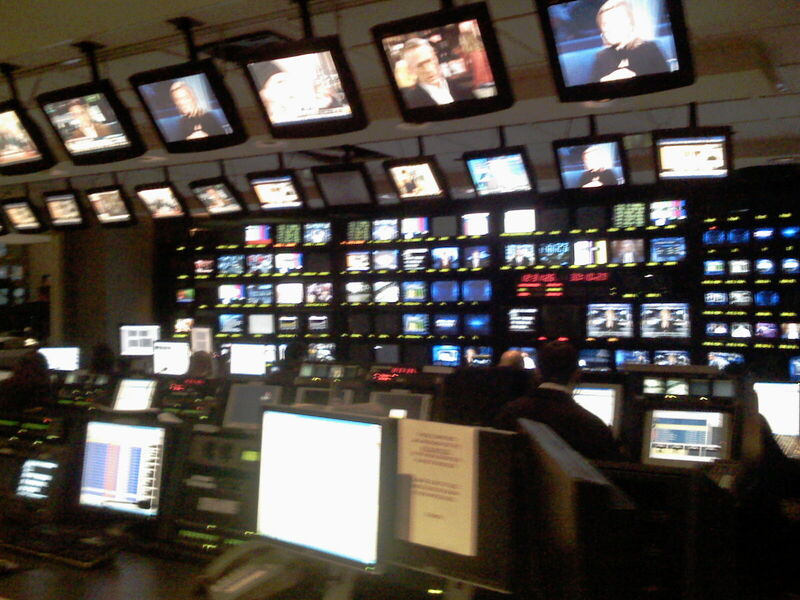 CNBC newsroom. Photo courtesy of Wikipedia. 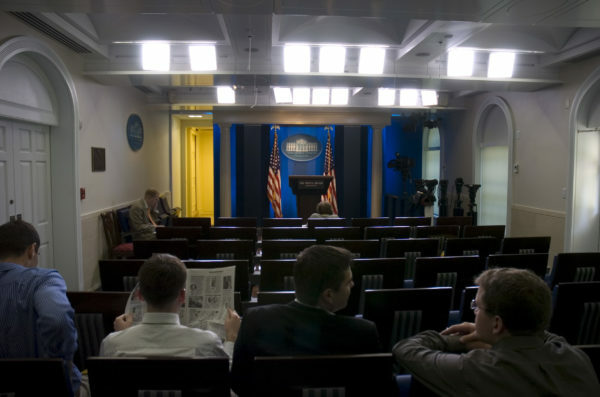 The Presidential Inaugural Committee recently announced the availability of space at a Media Village Press Filing Center on the National Mall for inaugural coverage. The Village will be located on the National Mall at 12th Street SW, between Madison Drive and Jefferson Drive, near the Smithsonian Castle. Only credentialed media will be allowed access to this space. Requests for space at the National Mall Media Village must be submitted by Wednesday, January 11 at 5:00 P.M. Reservations can be made to the Inaugural Committee by clicking here. An American staple and the go-to jewelry designer to Washington, DC’s most famous residents and visitors, Ann Hand has been accessorizing women and men for the past three decades. 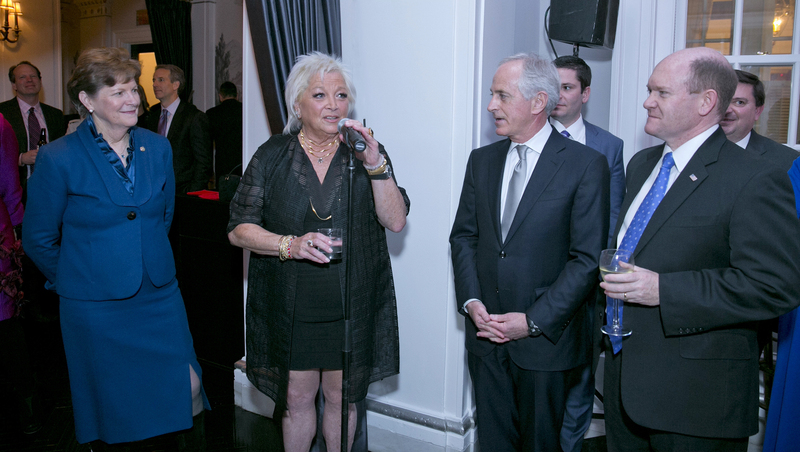 “My jewelry reflects our pride in government, the military, our faith, our family and the various organizations, corporations and charities that make up the national tapestry of our country and the values we hold dear,” she recently stated. In 1993, Hand received her first commission to design a brooch commemorating the reinstatement of the Freedom statue atop the US Capitol. Since then she has received dozens of commissions from a wide variety of groups, corporations, and national organizations such as the Smithsonian, the White House, the Departments of State and Defense, all of the branches of the United States Military, the Ritz Carlton, Mount Vernon, the National Historic Trust, and the Congressional Medal of Honor Society. 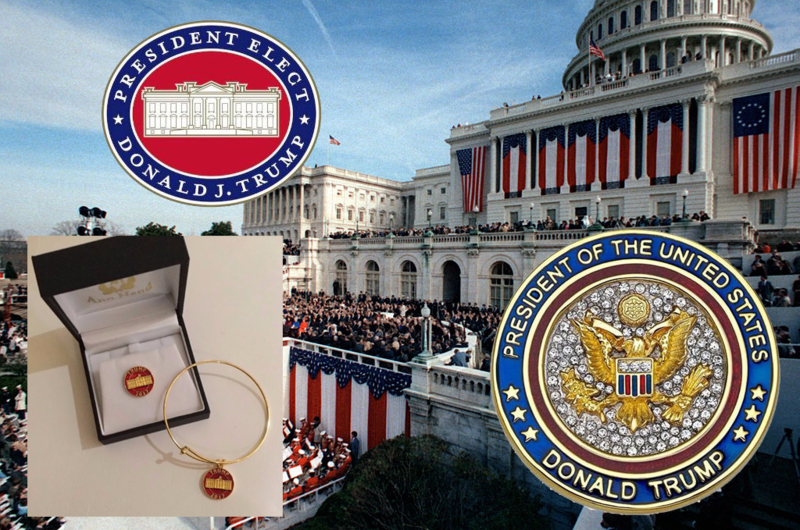 You can see Ann’s fabulous work and find more information on ordering from her jewelry collection celebrating President-elect Trump’s upcoming inauguration at AnnHand.com. 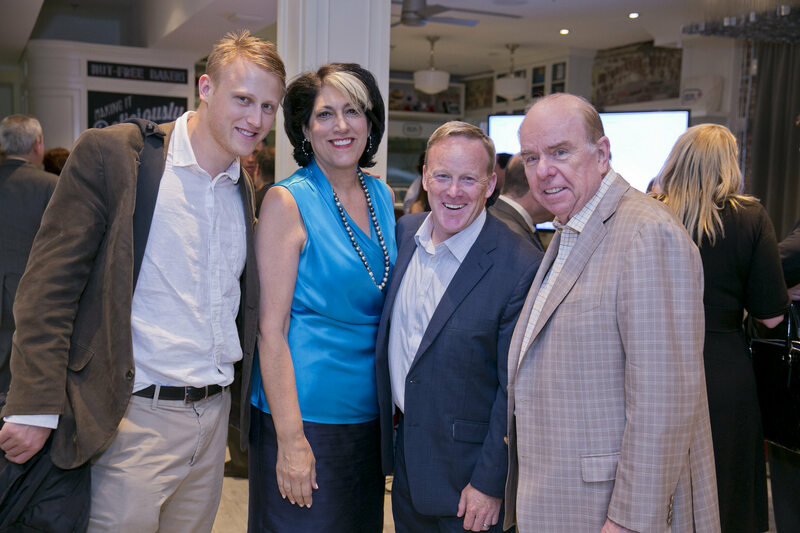 Daniel Lippman, Tammy Haddad, Sean Spicer. Photo courtesy of Haddad Media. In an appearance on ABC’s “This Week,” incoming White House press secretary Sean Spicer called on the nation to support the president-elect, instead of focusing and criticizing on his Twitter account. “So the idea is everyone wants to talk about the tweets he sent. But I would actually focus on the action he’s getting. Donald Trump is not president yet and he’s getting action, successes and wins, both abroad and here at home,” Spicer said. Spicer explained the media’s focus on Trump’s Twitter account, saying his tweets “freaks the mainstream media out,” because it marginalizes them. Members of the press have called on the incoming president and his team to cease hostilities toward the press, and pledge continuing access for the media to his administration. 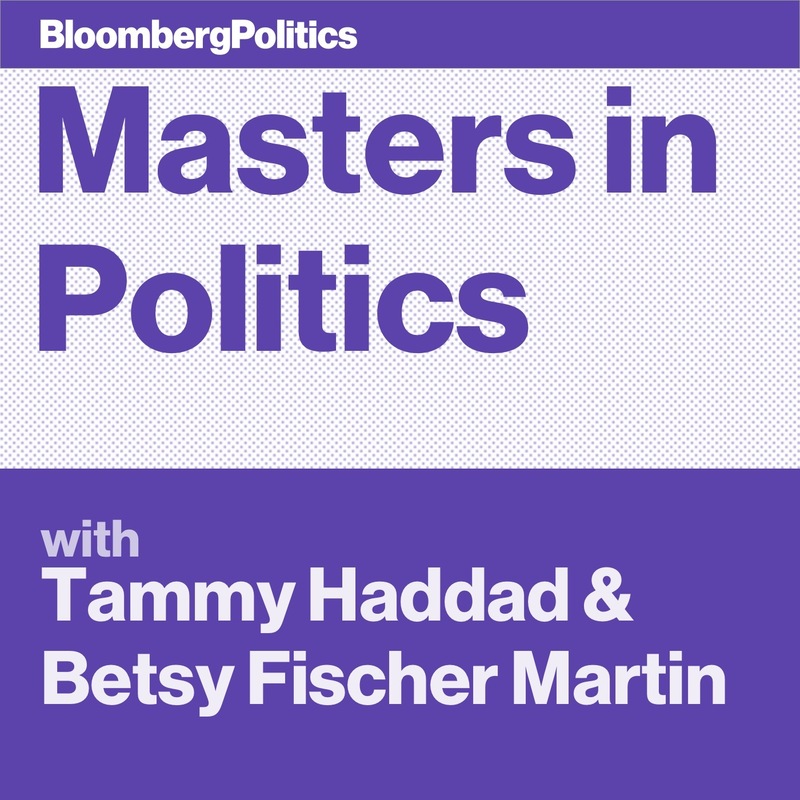 In the latest episode of Bloomberg’s Masters in Politics podcast Tammy Haddad and Betsy Fischer Martin interviewed RNC Communications Director and Chief Strategist Sean Spicer, as well as Megan Murphy, the Washington Bureau Chief and Executive Editor of Bloomberg News. At the start of the podcast, Spicer discussed the reaction inside the campaign and among Republicans across the country following Donald J. Trump’s election as President this week. Turning attention to Melania Trump, Spicer described what he saw as her strengths as incoming First Lady. In the second half of Masters in Politics, Fischer Martin and Haddad discussed the political lay of the land with Washington Bureau Chief and Executive Editor of Bloomberg News Megan Murphy. 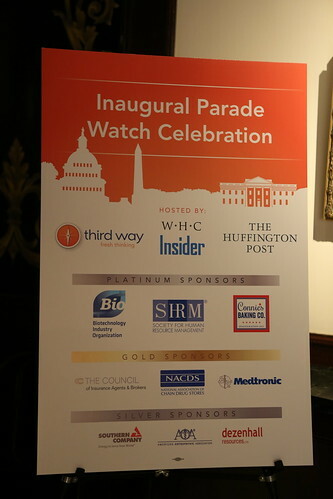 Check out the slideshow above to see who else was at the Georgetown soiree.